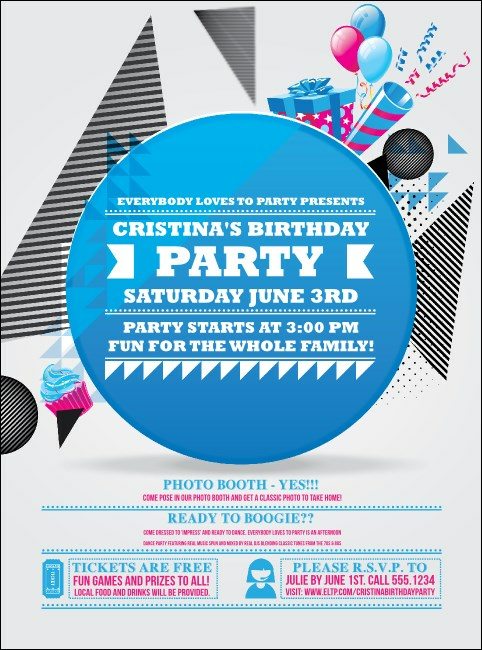 Do the math on your pre-event promotions when you print Birthday Party Geometric Flyers and post them in advance. These brilliant Flyers feature a modern design with unique shapes and bright colors, and each one gives you room to include seventeen lines of text for all your party details. Let TicketPrinting.com present you with great advertising.